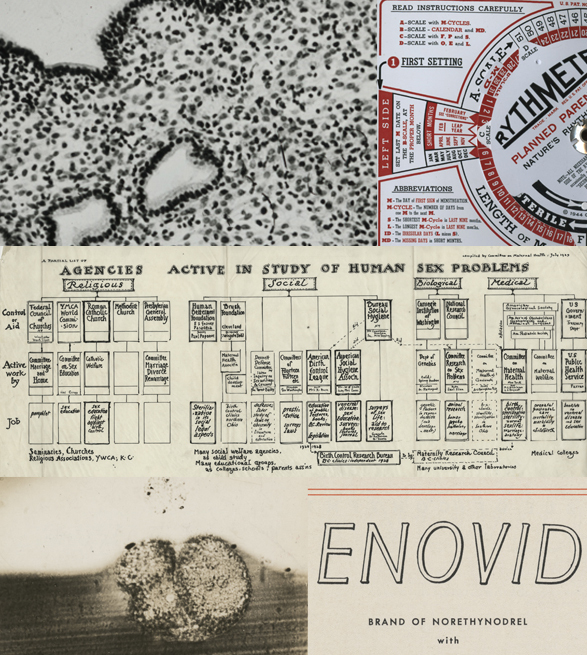 This exhibit, Conceiving the Pill, follows the work of John C. Rock and other notable scientists like Arthur T. Hertig and Gregory Pincus as they endeavored to conceive and deliver the birth control pill. 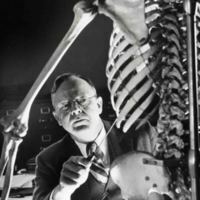 Although seemingly distinct disciplines, medicine and law—as medical jurisprudence, forensic medicine, or legal medicine—have been intertwined for centuries, and legal medicine itself encompasses a wide range of subjects, such as toxicology, psychiatry, chemistry, pathology, anatomy, autopsy, and suicide. Corpus Delicti tells the story of Harvard Medical School's involvement with medical jurisprudence and the origins, rise, and, eventual fall of its Department of Legal Medicine–-in some ways a victim of its own success–-along with the individuals--George B. Magrath, Alan Richards Moritz, Richard Ford, and Frances Glessner Lee–-who shaped, developed, and promoted its work. 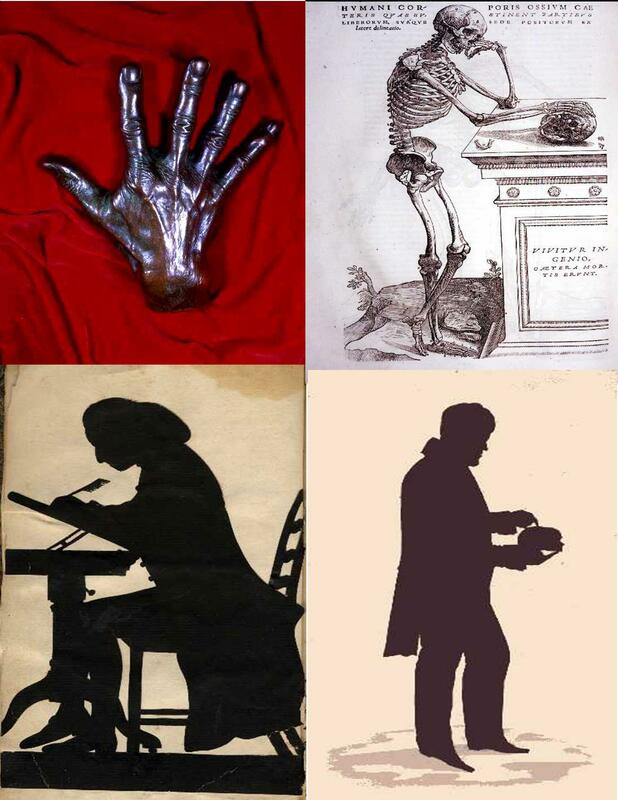 The history of medicine in Boston and, in particular, at Harvard Medical School is often a sort of family chronicle. The same famous names—Putnam, Shattuck, Bowditch, Storer, Cheever, Wyman—appear over the years as members of new generations assume roles in the profession of their parents and grandparents. But there is one Boston family—the Warrens—whose contributions range from the foundation and first lectures of Harvard Medical School and the construction of its campus to the development of innovative surgical techniques and the performance of one of the most famous operations in American medical history. The research, writing, teaching, and medical and surgical labors of the five celebrated Doctors Warren have left an indelible mark on the development of Harvard Medical School and indeed shaped the very course of medicine and medical education in this country over the past two hundred years. This fall, as the Countway Library of Medicine assumes responsibility for the exhibits, specimens, and instruments of the Warren Museum, a display of rare books, manuscripts, photographs, artwork, and artifacts from the collections of Harvard Medical School and the Boston Medical Library has been mounted at the Countway Library as a tribute to the members of this illustrious family and their tradition—in every sense, a family practice—of contributions to American medicine. Incunabula or incunables are the very first examples of books, pamphlets, and broadsides printed with moveable type in Western Europe. They range from the very first examples of the two-column Latin Bible produced by Johann Gutenberg in the 1450s to works printed through the end of the year 1500. The term "incunable" derives from the Latin word cunabula for "cradle" or "origin", hinting at their status as the earliest of all books. Incunabula are also sometimes referred to as "fifteeners" from their appearance in the fifteenth century. Despite their European origins, incunabula can be found in library collections throughout the United States today, with the greatest concentration in the Library of Congress. While the largest collection of fifteeners at Harvard—more than 2,600 titles—may be found in Houghton Library, the Countway Library of Medicine, with over 800 items, holds the largest collection of medical incunabula in this country and one of the finest collections of this type in the world. In 2002, the Countway Library embarked on an ambitious and long-needed project to describe and catalog fully its holdings of incunabula and make online descriptions of these items accessible to scholars and researchers for the first time. All of the books and woodcuts in this exhibit have been drawn from the collections of the Boston Medical Library and the Harvard Medical Library and have one common element—each is at least five hundred years old. The Fifteeners highlights some of the extraordinary treasures in the Countway's incunabula collection and allows the public a glimpse of these rarest of printed medical works. Is it possible to improve the human race through scientific means, or, more specifically, can we breed a better human? 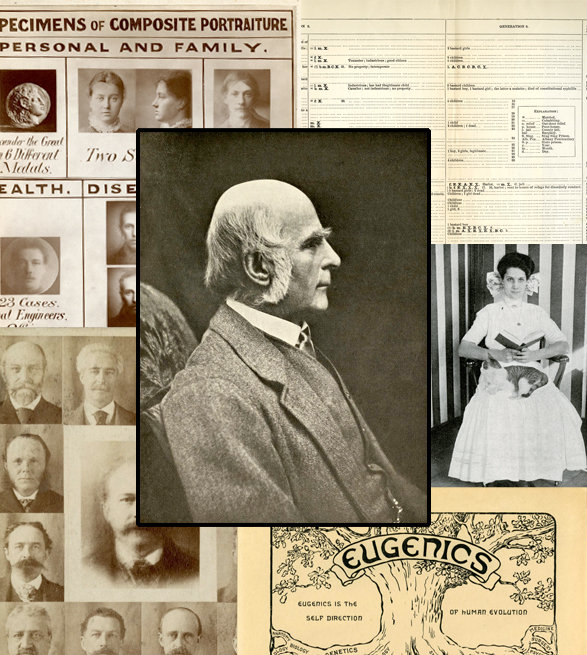 Galton’s Children: the Rise and Fall of the Eugenics Movement examines the social phenomenon of eugenics from its origins and period of greatest influence in the early 20th century, to discredit in the 1930s and its associations with the racial hygiene policies of Nazi Germany, and the persistence of eugenic ideas today. Just what makes something rare? While medical books or letters or instruments may be intrinsically interesting, offer historical insight, or fascinate simply by virtue of their age or scarcity, these items all acquire an added luster when we know where they came from and who owned them, used them, or even just touched them. This added dimension, or association value, can transform even the most mundane item into an object of unparalleled rarity and distinction. The Francis A. Countway Library of Medicine houses one of the world’s largest collections of books, manuscripts, prints and photographs, artwork, artifacts, and museum specimens documenting the history of medicine from the Middle Ages to the present day. This exhibit, Gilt by Association, commemorates the drama and richness of medical history and allows the public a glimpse of extraordinary treasures associated with some of the most renowned figures and events in medicine. 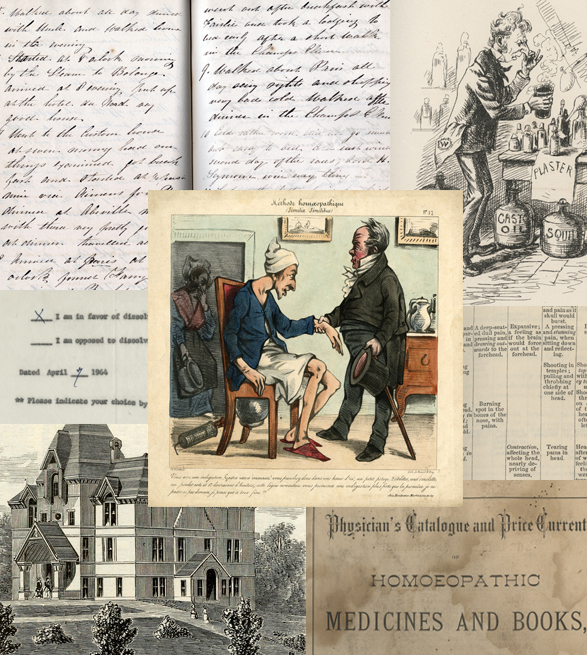 From Presidents in the White House to the Czars of Russia in the Winter Palace at St. Petersburg, Gilt by Association celebrates 800 years of milestones in the history of medicine through the rich and varied collections at the Countway Library of Medicine. 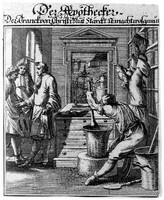 To support and develop homeopathy in the face of opposition from its detractors, the adherents of the movement created an entire medical establishment—books, journals, schools, hospitals, asylums, sanitariums, dispensaries, professional societies, national and international organizations, pharmaceutical manufacturers, publishing firms, and even life insurance companies—in parallel with that of regular practitioners. Grand Delusion? traces the developments of the history of homeopathy in Boston and Massachusetts and the contributions and experiences of its practitioners, in both conflict and also concert with their regular medical colleagues. Jars of “Art and Mystery” will take you on a journey through the history of the apothecary profession from the seventeenth century to the mid-nineteenth, exploring how the role of the apothecary changed over time. You will learn about the nineteenth-century pharmacist and chemist, the tools they used, the drugs they sold, and what ailments they treated. Get a sneak peek inside a pharmacy of the time, and investigate apothecary jars and the remedies they contained. Follow the exhibit through to the end and you’ll have a chance to prove your worth as a pharmacist by taking an apothecary’s exam! Be sure to click through the links to the right from beginning to end in order to be fully prepared for the quiz. The apothecary jars and pharmacists' tools featured in this exhibit are from the Apothecary Jar Collection of Rosalind and Elbert McLaury, M.D., and Suzanne and Harold Spear, M.D., held at the Francis A. Countway Library of Medicine. The collection was donated by Suzanne and Harold Spear. "Satire was the language of the age...In the eighteenth century there was a great vogue for satirical prints- political and social. This was the golden age of the English engraver...caricature shops had a popularity of their own. Their prints were virtually the only pictorial rendering of the flow of events, moods and fashions. Especially, they reflect the social attitudes of the day."